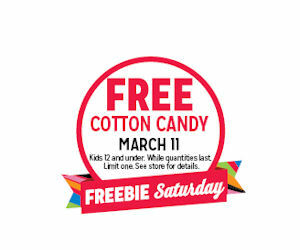 Bring the kiddos to Kmart and they can get free Cotton Candy during Kmart Freebie Saturday! Available to the 1st 100 kids at each store who are 12 years and younger. Valid today, Saturday, March 11th.